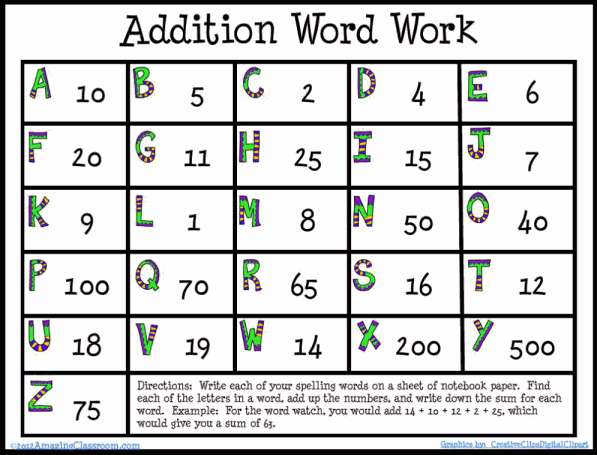 Add this activity to your reading and/or word work station for extra addition math practice. Students locate the letters of their spelling words, and then add up the numbers that correspond with the letters, coming up with a sum for each of their spelling words. This will give you variety in your word work stations, while giving your students extra math practice along the way. This summarization test includes ten multiple choice questions. This test is great to use as a pre-test or formative assessment to see what your students already know. 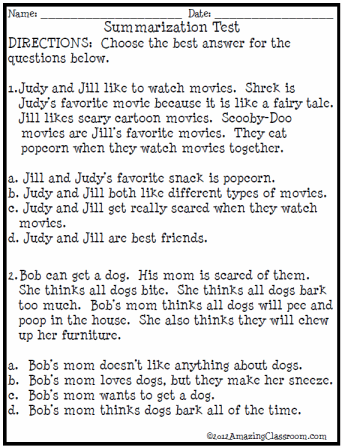 For eight of the questions, the students have to read the paragraph, and then pick the best summary. Two of the questions include general questions about summarization. Give this test again, after you finish teaching this concept, and use the test as a summative assessment. Enjoy! 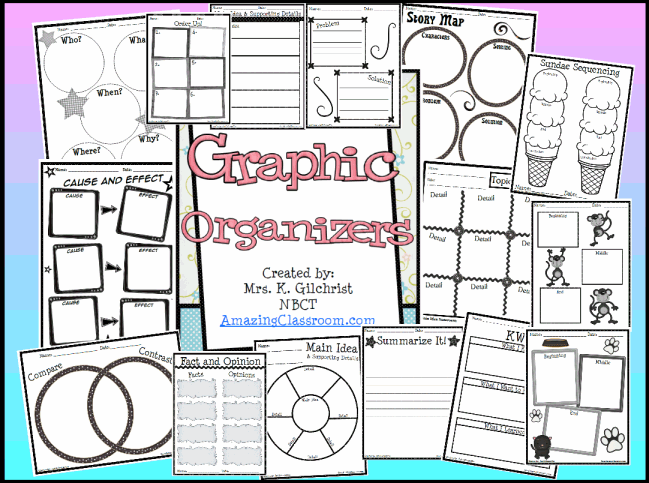 This graphic organizer pack contains over fifteen graphic organizers to use with any book. These graphic organizers include: main idea and supporting details, fact or opinion, story maps, problem and solution, summarization, cause and effect, compare and contrast, beginning, middle, and end, plus many more. Enjoy! 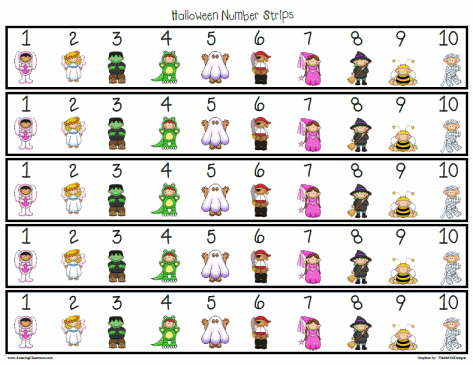 This file contains cute and adorable Halloween number strips to support your students with in math. Use these in math center games or activities. Use these to help your students with basic addition and subtraction. They can also be used to practice skip counting by smaller numbers. Easily send these home to help with homework practice as well. Your students will be sure to love this Halloween themed math helper. Enjoy! 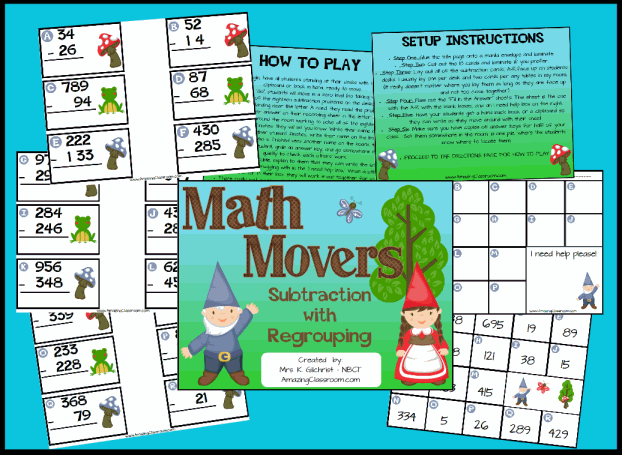 This subtraction with regrouping math movers game is perfect for subtraction review for your entire class. Get them up and moving with this colorful, fun, and engaging game. Students move around the room to solve the problems on each of the cards. This subtraction with regrouping game focuses on two and three-digit subtraction with regrouping or borrowing. Enjoy! 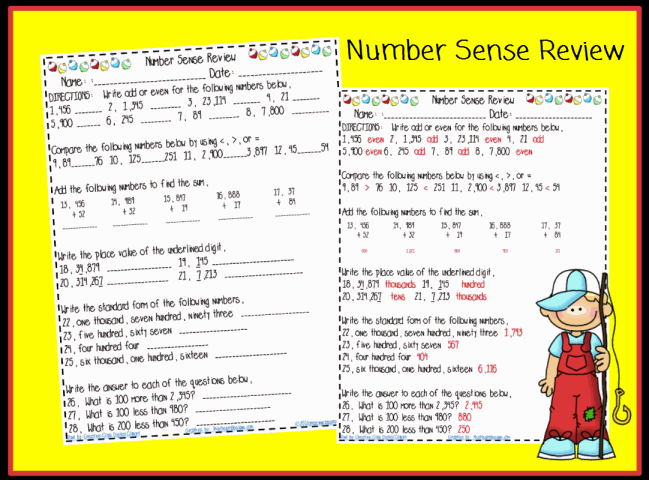 This number sense review worksheet is great to use as a formative or summative assessment in your classroom. It covers odd and even numbers, comparing numbers with <, >, or =, adding two and three digit numbers, place value of numbers, numbers written in standard form, and number sense questions such as: what is 100 more than 2,345? An answer key is included as a separate file for easy grading. Enjoy! This Standards Management System for 3rd Grade Math is the perfect companion for any teacher. 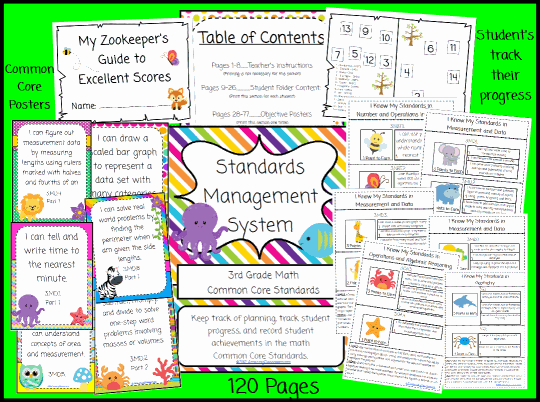 It includes over 120 pages of: student friendly objective posters for EVERY 3rd grade math standard, teacher planning pages, student folder contents for students and teacher to keep track of all of the standards they have mastered, an incentive "Zookeeper's Guide" program where students earn award badges for mastering the 3rd grade math standards. Enjoy! This types of sentences review game is for your entire class, and so much fun! This game includes a cover page for a manila envelope, setup instructions, how to play directions, 12 posters (choose four of them for the game that best fit your students' needs and abilities), and 72 game cards for your class to play multiple times throughout the year. 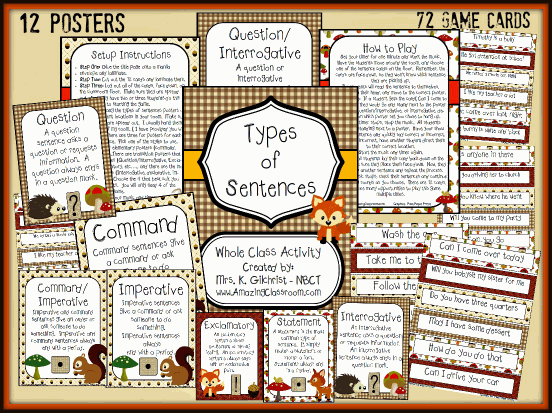 Get your students up and moving by playing this fun types of sentences game. Enjoy! 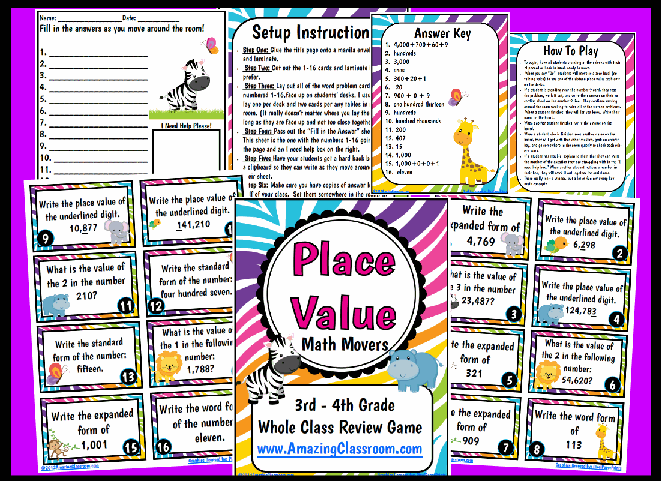 This Place Value Math Movers game is perfect for place value review for your entire class. Get them up and moving with this colorful, fun, and engaging game. Students move around the room to solve the problems on each of the cards. This place value game focuses on the following concepts: standard form, word form, expanded form, values of digits, and place value of digits. Enjoy! 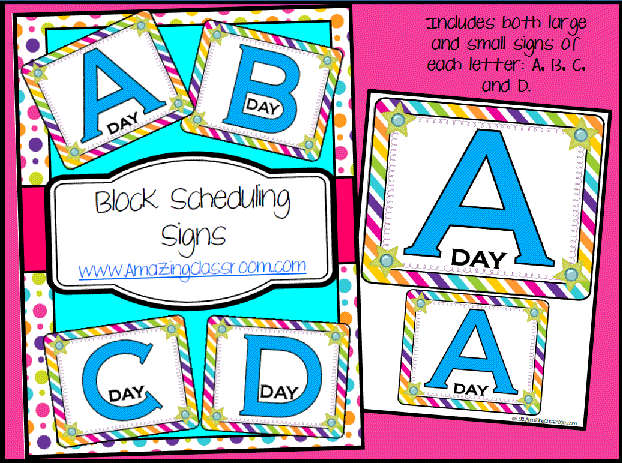 This file contains block scheduling signs for your classroom. The set contains the following signs: A Day, B Day, C Day, and D Day. There are larger signs and smaller signs of each letter in a bright, colorful format. Print, laminate, cut out, and then place them on a key ring to easily change them from day to day, or give the job to a student helper. These just make it easy to know which letter day of the week it is when the students enter!